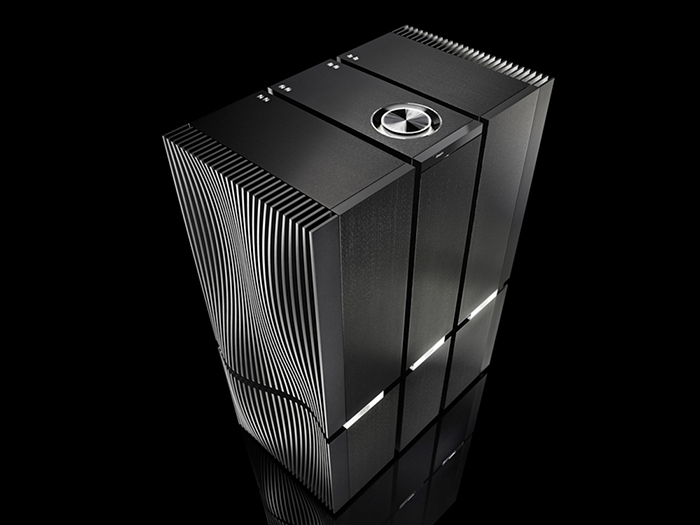 Naim Statement Amplifier For Christmas? The decision to purchase this masterpiece is not one to take lightly. For those fortunate enough to have made the purchase there is no looking back. Naim installers and your dealer will deliver and install the amplifier to your satisfaction. The amplifiers astonishing musical ability is readily apparent from switch on, but the circuitry and components develop over the course of days, weeks and months, subtly changing and settling down. Everything about Statement is a leap forward in technology and design. It has been engineered from the ground up for pure performance. Virtually every aspect of the Naim Statement amplifier is extraordinary, but it is the consummate ease with which it conveys music that is the great tour de force of this magnificent and beautiful modernist beast! You will rediscover your music collection. Massive loudspeakers are not essential to benefit from the marvellous performance, but the partnering equipment is very important. Whilst the Statement amplifier system will be beyond the reach of many, the NAC S1 Preamplifier can be very successfully incorporated into an existing Naim system, and indeed can be used with other makes of equipment. Join the Statement owners if you can ! were developed as part of the Statement project and the improvements they bring are being enjoyed by many people using a wide variety of Naim and other systems. Have a very enjoyable Christmas and best wishes for the New Year from Julian, Paul and John at Audio T Brighton.